But the reality was different to our future plans. Like many millennials, saving up the bare minimum $80,000 deposit to go into 30 years of financially stressing debt seemed insurmountable and kind of soul destroying. What’s worse is that behind the scenes, we were struggling with infertility. The doctors still don’t quite know why. Being faced with the reality that our “checklist” – the house, the kids, the mortgage – might actually never happen led us to a critical identity crisis. We felt so disconnected, isolated, and disillusioned. We both worked hard. We weren’t extravagant. We’re introverts. A good movie, a pizza, and each other at home was our dream Friday night indulgence. We were doing All The Things to try and fall pregnant. Why was nothing happening for us? Why were we stagnating? What was the point of any of it? Why were we working so hard when it was leading nowhere? Deep down, we were “trying to do the right thing”, the “done thing” when our gut was telling us we was destined for something else. We knew what wasn’t working. The rental trap. The mundane 9-to-5 grind. There was no room to be us. There was passion in our relationship but no passion in our lives. If we weren’t the friendly neighborhood Days with a white picket fence and three kids, who were we? The sudden loss of one of our friends gave us a shake up: tomorrow isn’t promised, and we have one, tiny life to see and do it all. One tiny life to see the pyramids in Egypt, to stand on the top of the Empire State Building, to see the Eiffel Tower all lit up at night. One tiny life, and we’re spending it working to make other people rich while we stay stuck, unable to get ahead. One tiny life, and we’re just going through the motions and persevering, even though it’s not working, because to fit in at our age, if we don’t actively have the kids and the mortgage and the toys, we will feel disconnected from our peers. One tiny life and we’re afraid to take the leap. One tiny life and our anxiety and need for certainty has kept us stuck in a system that isn’t working. Oh my God, what if our whole one tiny life was spent being too anxious about fitting in and being liked and staying where we’re comfortable to explore the world and live our dreams? We realized that maybe the Universe never intended for us to fit the mold because we were destined to live a life outside it. So, we made a plan: that we were going to make life more about the things we love. We were going to work on something that was entirely our own, and leave our mark on the world. Instead of spending lives working on someone else’s dream, we were going to work on our own. That’s how Travel Popcorn was born. It’s a story about a quiet couple, the kind that likes to cuddle up together on a Friday night at home, the kind who struggle between their traditional values, their anxiety, and the wild gypsy in their soul, daring to take their first steps into the unknown and pursue a life of travel. 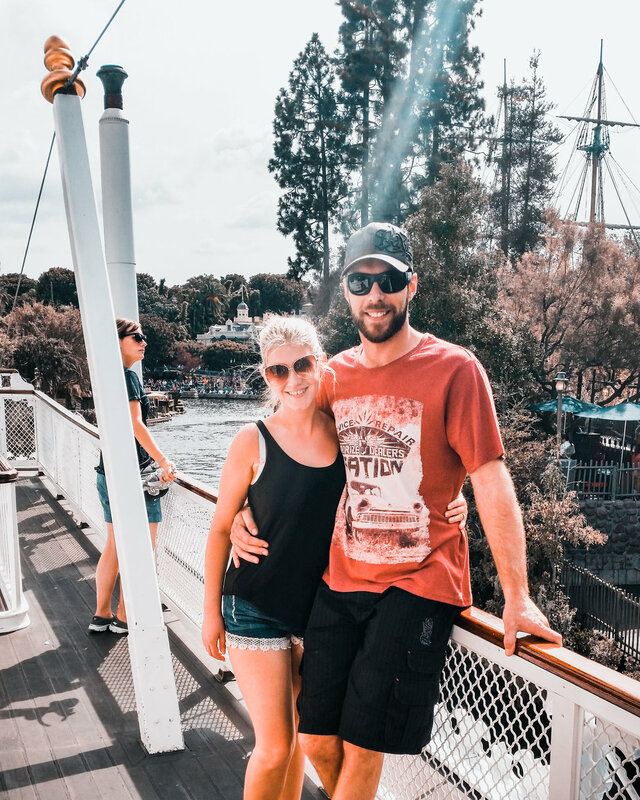 What started as a sort of “public diary” for our many adventures, especially geeking out over our theme park experiences, kind of snowballed into a site where we wanted to provide other traveling couples like us with useful, practical travel guides, tips and tricks. As we live in southeast Queensland, Australia, only 20 minutes’ drive from the Gold Coast, you can expect our blog to have a distinct Queensland flavour to it, especially at first, though we plan to stretch out the scope with time, expanding out into the world arena. You can expect us to document the world around us as we explore it: the food we eat, the people we meet and the places we fall headlong in love with. We will share with you all the cool things we find along the way. We will give you honest recommendations on the many resources we use for travel: where we book our tickets, where we book our hotels, flights and buy our equipment. You can expect our total dedication to providing information that is honest, informative, objective and transparent. So yes, while we do have affiliate connections and will do sponsored posts and collaborations from time to time (hey, those churros at Movie World don’t pay for themselves), the opinions reflected on this site are ALWAYS strictly our own and we strive at all times for total integrity in our content. Why don’t you make yourself a cuppa and settle in? Travel Popcorn helps millennial couples just like us to embrace a life of travel. If you are caught up in the 9 to 5 grind and dream of living a life of adventure, without your anxieties about doing so holding you back, you have come to the right place. My name is Rhi and the handsome bearded fellow standing next to me at Disneyland is my husband, Greg. Our romance was a fairytale from the beginning. Both of us had struggled to find someone who we connected with – really connected with on a spiritual and emotional level. When we met, there was an instant spark and a deep, soul connection. We bonded over our shared passions of going on adventures and eating good food and our dream of buying a home and starting a family. After we married, and had an amazing honeymoon at Disneyland, Las Vegas, and Cairns, we set out on the path most young couples head down – to buy a home and start a family. It’s conflict, and it’s compromise! — Sebastian, "La La Land"
We learned some pretty valuable lessons about life in the last few years: especially that life is short. Tomorrow is NEVER guaranteed. If you wait for the perfect time to do all the things in life you said “someday” to, like traveling the world, fulfilling your lifelong dream of visiting Disneyland or even getting up the nerve to ride that rollercoaster, it may never come. The perfect time to do what you always wanted is now. Greg and I have a shared passion for experiencing everything life has to offer and seeing and doing as much in this crazy world as we possibly can. Our vision for this website is that it will reflect our philosophy and be at once fun, entertaining, and at times a little goofy (pun intended). We hope that we can fill it with inspiration, information and valuable tips for couples who are planning their own adventures… whether it’s an epic trip overseas or exploring the attractions in your own local area. We hope we can inspire others to embrace their own inner child, immerse themselves in imagination… and enjoy the ride. We love playing on social media and connecting with our readers there: find us on Facebook, Instagram and Pinterest. We do work with affiliates to help fund our blog – for more information check out our Affiliate Disclosure page.